Cropped pants are stylish, flattering and feminine. They show some skin and are easy to combine with sneakers, ankle boots and pumps – AND not only on warm weather days. We’re sharing the styling tips and advice on how to wear cropped pants during colder weather - the right way! Get inspired by our advice and wear your cropped pants all-year round! The easiest way to combine cropped pants? Wear them with ankle boots or boots, depending on how much skin you want to show. Displaying your ankles creates a slimming effect – especially when you wear loose-fit or bootcut cropped pants in combination with fitted boots; think stretchy sock booties. Wear your cropped pants with extra folded cuffs to show off your ankles even more ánd/or to show your statement (ankle) boots. 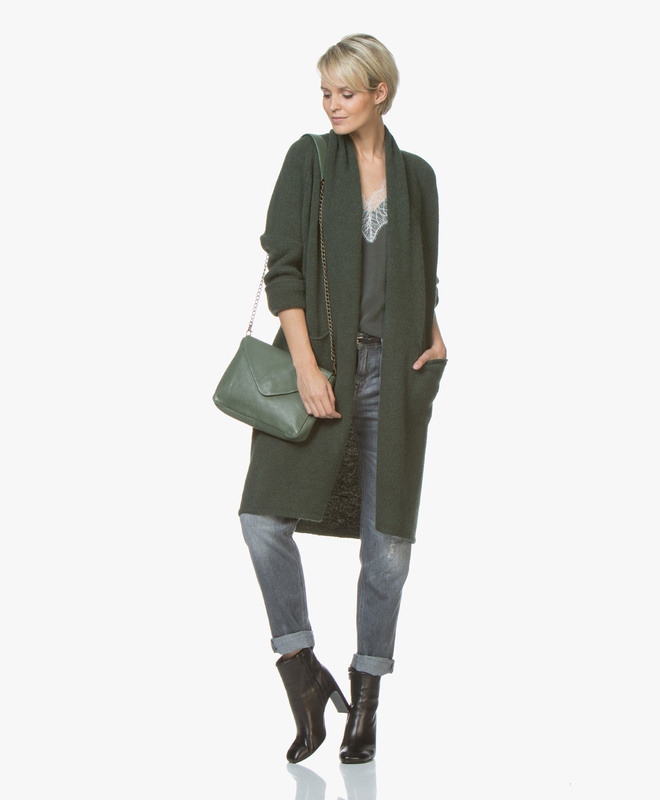 Ankle boots and cropped pants are the perfect combination, but do you want to add extra warmth or a playful touch? Add socks, from tonal socks to lurex and patterned socks, to display less or more of your ankles - everything is allowed! You can also add a pop of color and extra warmth on colder days with tights. Pair your ankle boots with tonal tights for an elongating leg effect. Cropped pants can shorten your legs but wearing them with tonal booties will visually lengthen your legs again – especially when you wear heeled ankle boots to add extra length. When it’s cold and you want to wear cropped pants, wearing them with pumps doesn’t immediately come to mind – but it’s allowed! You can wear your pumps or heeled sandals with cropped pants on colder days – think for a chic lunch, a party or a business meeting. Showing your bare ankles makes your legs looks slimmer – so wear your cropped pants with extra folded cuffs. When you want to wear your pumps or heeled sandals on colder days you can also add socks to your look. Go for statement socks with lurex details or socks with an all-over pattern. Dress-down with tonal socks for a chicer appeal. It’s not only important what kind of shoes to pair with cropped pants, but it’s also important to style your entire outfit around the pants. Cropped pants can shorten your legs – unless you wear the right shoes. But you can also lengthen your legs by wearing your top or blouse tucked into the pants – especially high-rise cropped pants are perfect to visually lengthen your legs. Tucked-in tops aren’t the only way to lengthen your legs, you can also play with different lengths and layers to create an optically leg-lengthening effect. 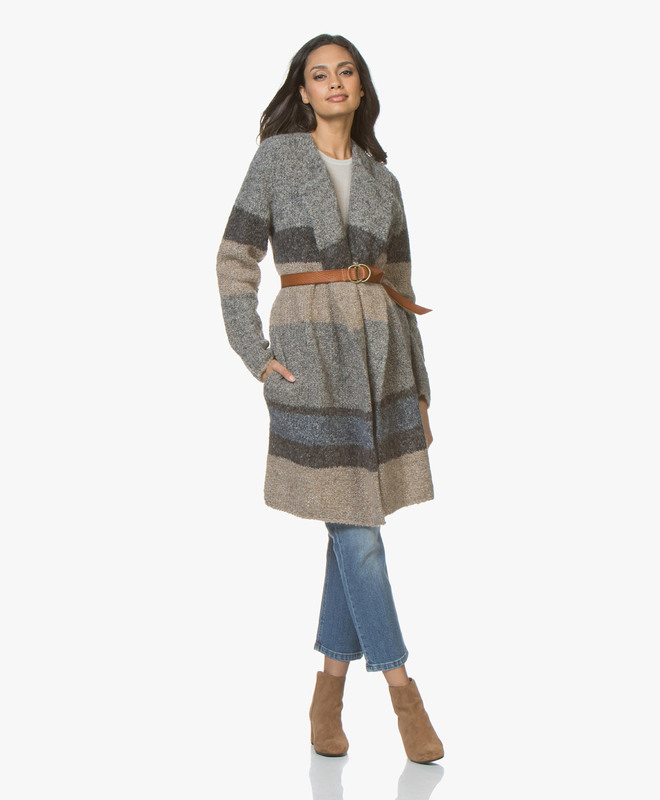 Think cropped pants with a shorter top and a maxi-cardigan. Also, accessories are perfect to balance cropped pants – wear a belt at waist and lengthen your legs. Want to see more looks? Check out our Shop the Look pages! Find your new favorite pair of cropped jeans here or discover our cropped pants selection here!